Brad Wilkinson is an Affiliate Consultant with The FutureWork Institute. He is a skilled facilitator, presenter, instructional designer and an organizational development consultant. He gets his energy from people development. He describes his focus as helping organizations unleash the power of human potential and particularly enjoys working with organizations committed to creating environments that tap into the unlimited creativity of the human spirit. Mr. Wilkinson has over 20 years of hands-on experience designing and delivering high-impact adult learning experiences, using a variety of learning methodologies, from experiential in-person workshops to web-based/virtual learning environments. Recently he participated in the delivery of a global virtual diversity and inclusion summit, attracting hundreds of participants across four continents. He has the capacity to design and facilitate learning experiences for audiences from the executive suite to the plant floor. He has experience working with a mixture of client systems internationally and domestically. He has served such diverse organizations as IBM, Hewlett-Packard, Exxon/Mobil, McKesson, Merck, CaptialOne, PepsiCo, Polo/Ralph Lauren, AT&T, Bayer, Coca-Cola, United Airlines, Lexmark, Pacific Gas & Electric, PriceWaterhouseCoopers, Harrah’s Entertainment, Johnson & Johnson, Alston & Bird, The Arthritis Foundation, the United States Postal Service, Norfolk Southern and Imperial Sugar Corporation. Prior to his consulting practice, Mr. Wilkinson participated in the creation of a start-up, multimedia training design firm, Goodwin, Williams and Associates. His past work experience includes the financial services sector, first as Training Officer for Hibernia National Bank in New Orleans, LA, and later as Training Director for a subsidiary of Citizens & Southern Corporation in Atlanta, GA. Taking his energy around diversity into the community, he assists non-profit boards and Atlanta area AIDS service organizations in their strategic planning processes and was founding Co-Chair of Georgia Equality, a state-wide organization dedicated to securing and protecting the rights of Georgia’s lesbian, gay, bisexual and transgendered citizens. Brad is also active in the Human Rights Campaign, the nation’s largest gay and lesbian political organization, having served on HRC Atlanta Steering Committee. 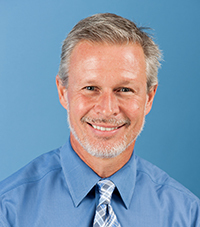 Mr. Wilkinson earned a Master of Science in Industrial Relations from Georgia State University and a Bachelor of Science in Industrial Management from the Georgia Institute of Technology. He is certified in Myers Briggs, Herrmann Brain Dominance and DISC assessment instruments.